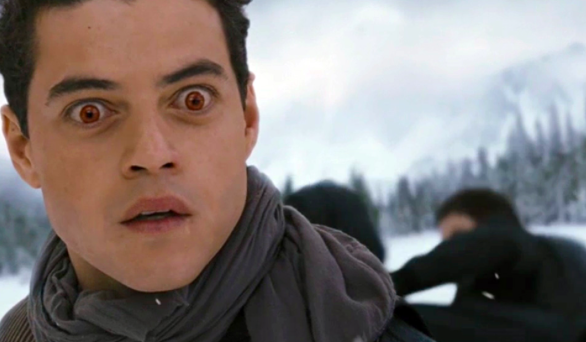 I remember the first time I saw Rami Malek in the Twilight movie as a vampire and I thought that guy made it big; considering what a huge franchise the saga movies were back then. The Egyptian-American boy proved to the world that he has the superpowers of an immortal on and off screen. The Middle Eastern and Arab world is having quite the adrenaline rush ever since triple regional threats Rami Malek, Nadine Labaki, and Talal Derki were nominated for Oscars. Malek just recieved an Academy Award nomination for Best Leading Actor for his role in Bohemian Rhaspody. Lebanese Director, Nadine Labaki, received an Academy Award nomination for Best Foreign Movie for Capernaum film. Additionally, Syrian Director, Talal Derki, recieved a nomination for Best Feature Documentary for Of Fathers and Sons film. This has been quite the season for the three stars. Other than two Golden Globes nominations, an Emmy, two Satellite Awards, and two Screen Actors Guild Awards, among others for his role in Mr.Robot, Malek won a Golden Globe for the Best Actor in a Motion Picture Drama for his role in Bohemian Rhapsody. He also received nomination for the Screen Actors Guild Award for Outstanding Performance by a Male Actor in a Leading Role. In addition to nominations for the BAFTA Award for Best Actor in a Leading Role, and an Academy Award for Best Actor in a Leading Role for the same. Lebanese Director, Nadine Labaki, has had her share of good news as well. 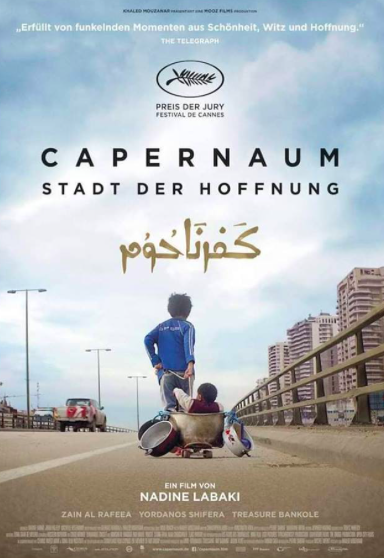 The movie Capernaum competed for the Palme d’Or at the 2018 Cannes Film Festival, where it won the Jury Prize. The film received a 15-minute standing ovation following its premiere at Cannes. To put a cherry on the movie’s top, there is now also a possibility to win an Oscar. Last but never the least, Berlin-based Syrian Director, Talal Derki, returned with pride to his homeland after his Sundance award-winning documentary ‘Return to Homs’. The documentary film was one of the most talked about documentaries of the year that won the Award of the Best Film in WATCH DOCS Film Festival, Best Arab Documentary Film, and ElGouna Silver Star Documentary Film in GFF. Moreover, it also landed Best Documentary Film at BIAFF 2018 in the Documentary Films international competition in Armenia and Main Award at AJB DOC Film Festival 2018 in Sarajevo. Return to Homs also won the Main Prize of the International Competition of the Flahertiana Festival, Big Golden Nanook and Best Journey film at Sole Luna Doc Film Festival Treviso, and many more. That in addition to nominations for International Award for Best Arab Film, Karama Film Festival in Amman, Europe Film Award for the Best Documentary 2018, and three nominations at Cinema Eye Honors Award 2019. It was also shortlisted for the German Academy Award 2019. What an insane season for the triplets. We cannot stress enough on the positive impact these awards and nominations have on the people of Arab and Middle Eastern cinema industry. It only proves that the sky is their limit.